Is this really what you want? Shorter release cycles lead to fragmentation. Dan Rowinski at ReadWriteWeb, said yesterday that Apple has a problem, citing IDC research that claims Android accounted for 68% of smartphone shipments in 2Q12. 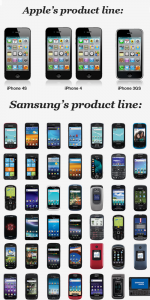 IDC notes that Samsung was responsible for 44% of all Android devices shipped. 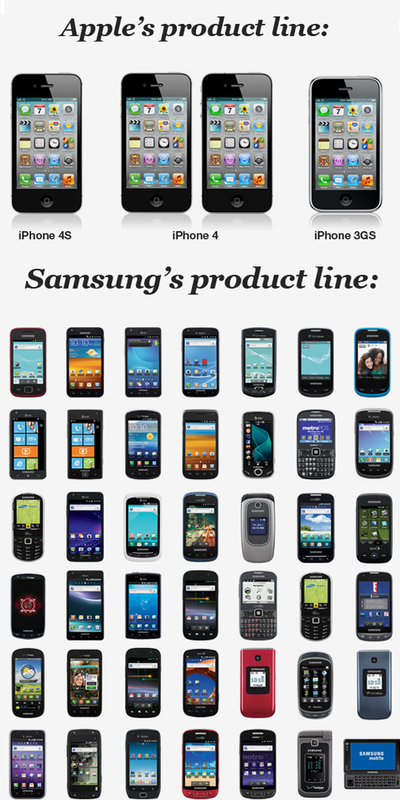 That equates to 46.11 million devices, or about 20 million more than the iPhone. [Apple’s] one-device-per-year approach (with older devices dropping in price at the same time) can’t seem to up with [sic] new Android devices developed and shipped seemingly every week. the sooner Apple can get the newest iPhone on the market, the more chances it will have to stand firm against the Android armies. I completely disagree. I think that’s exactly the wrong thing for Apple to do. Apple’s more sane approach to release cycles is a huge competitive advantage. I would call the fragmentation in the Android space resulting from “new Android devices developed and shipped seemingly every week” is a runaway freight train headed for a train wreck, not something to be envied. It is a key reason why the Apple ecosystem remains so utterly and devastatingly dominate. Flurry Analytics reports that for every 10 apps that developers build, roughly 7 are for iOS. Apple cannot ignore competitors, but actively driving toward Android-like fragmentation, the biggest single problem faced by Google with Android, and the biggest competitive advantage for Apple and iOS, is not the answer.